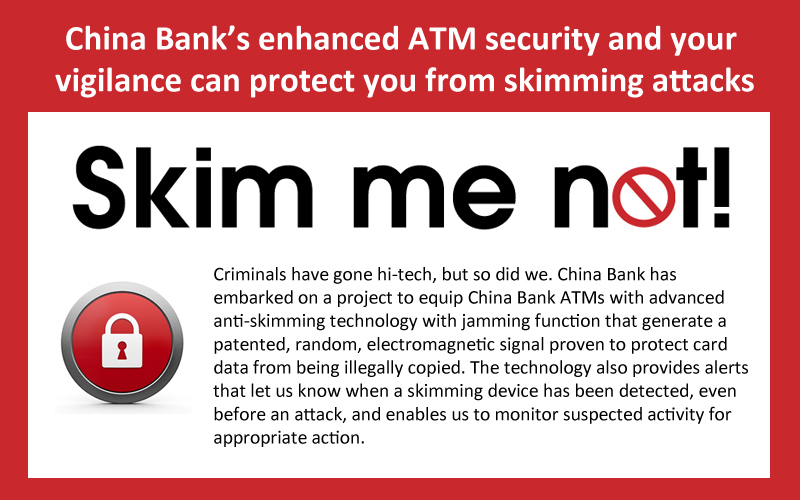 Electronic banking ("e-banking") has made banking simpler, faster, and more convenient for China Bank customers. 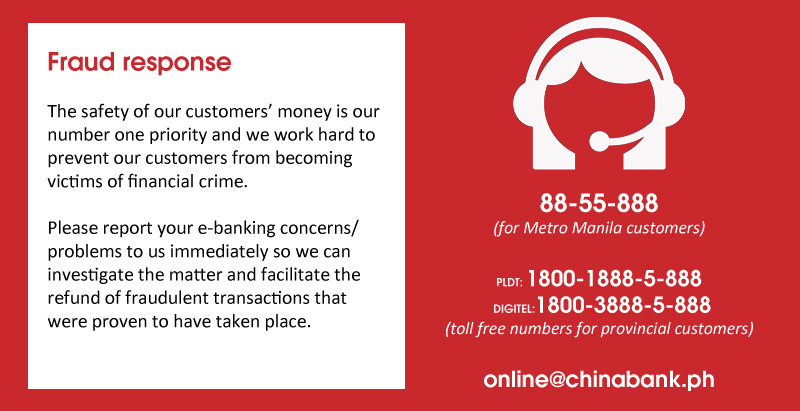 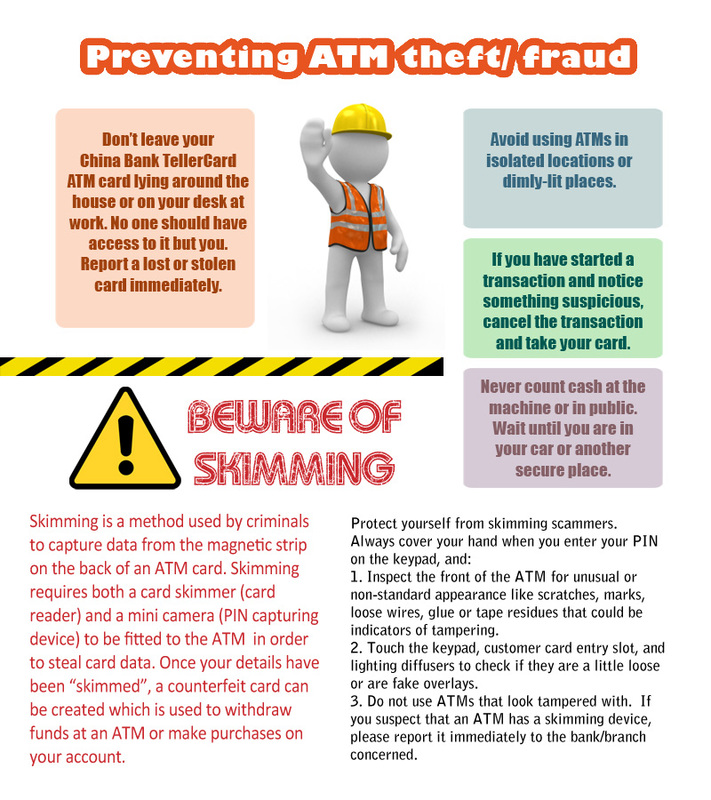 We use leading-edge fraud prevention technology and monitoring techniques to ensure the security of transactions done via our e-banking channels: China Bank TellerCard (ATM), China Bank Online (internet and mobile banking), and China Bank TellerPhone (telephone banking). 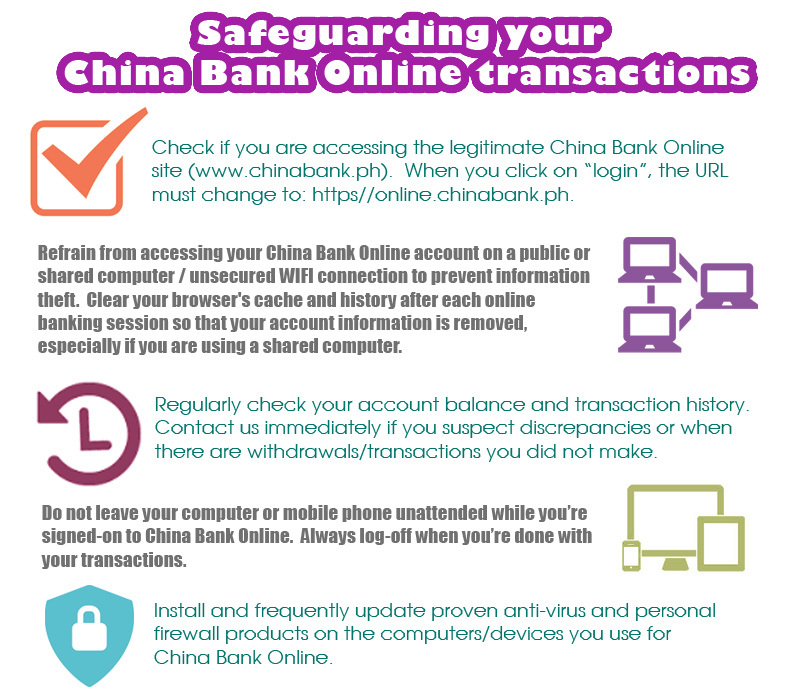 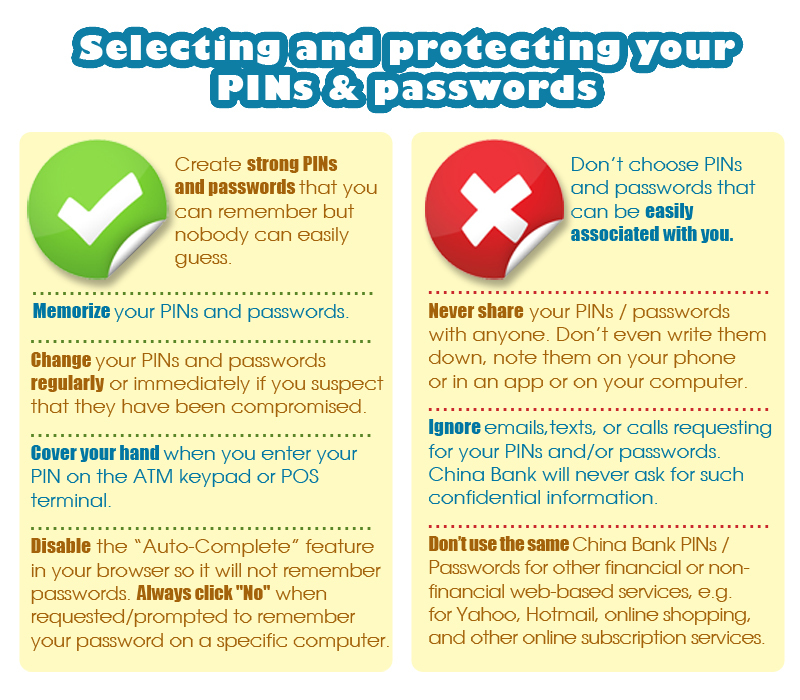 You, too, play an important role in your own e-banking security. 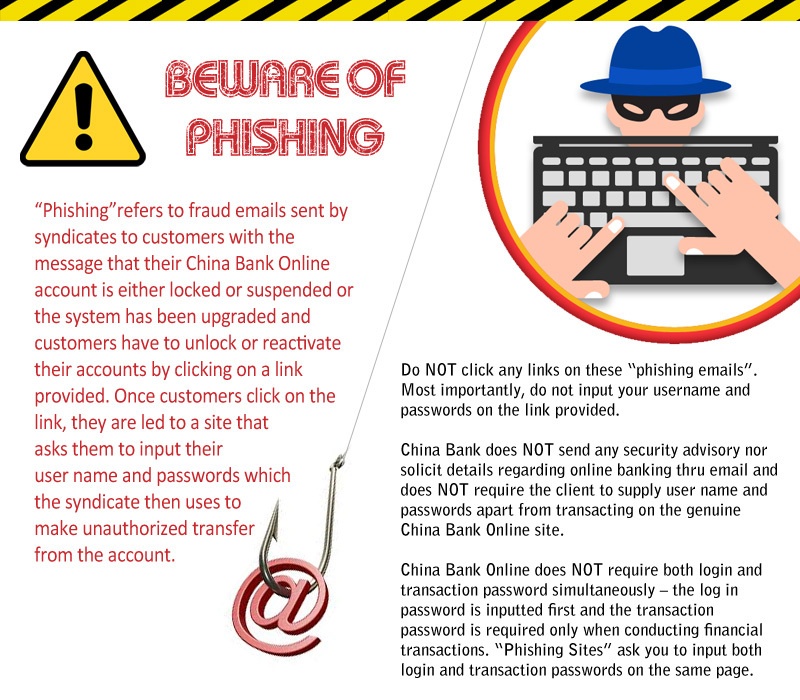 Here are some tips to keep you from being victimized by cybercriminals and hacktivists.